Articles posted in the News section of the home page are moved here when they are replaced with new entries. The list runs from the most recent item to the oldest. This month, April 2019, marks the four-hundredth anniversary of the completion of the Canons of Dort which were composed in response to the growing influence of the teaching of James Arminius (1560-1609) in what was at the time the Dutch Republic. The Canons addressed a document called the Remonstrance which included five points expressing opposition to the Calvinism of the Dutch Reformed Church. Last month, Greenville Presbyterian Theological Seminary held a conference in honor of the anniversary and had two publications about Dort available. 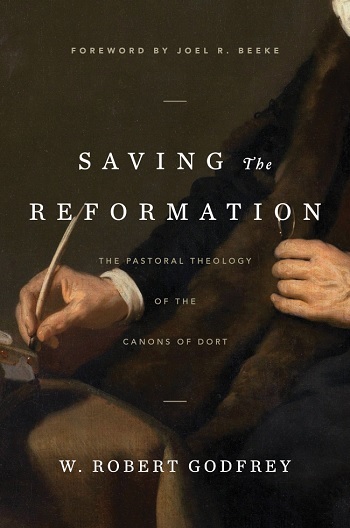 The first, Saving the Reformation: The Pastoral Theology of the Canons of Dort, by W. Robert Godfrey, was published by Ligonier’s Reformation Trust this year. The pleasantly jacketed cloth-bound book includes sections about the historical and theological background of Dort, the Remonstrance, a new translation of the Canons from a pastoral viewpoint, and an exposition of the Canons. Included in the Appendices are a reassessment of Arminius by the author, a new translation of Dort’s statement on the Sabbath, and three other items. A great attraction of the book is it brings together the key items relevant to Dort in one binding for easy access and the accuracy of the translations and other content are assured by Dr. Godfrey’s scholarship. For those who are Presbyterians Saving the Reformation would be a beneficial read for understanding how much the Continent and Britain have in common regarding Reformed theology. The second publication is a reprint by Log College Press. 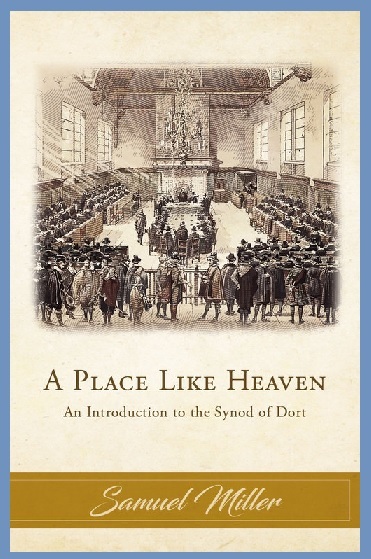 The title is A Place Like Heaven: An Introduction to the Synod of Dort, which was written by Samuel Miller (1769-1850). I was a bit surprised by the title which was pulled from a quote of Bishop Joseph Hall (1574-1656) that was used by Miller. Dort was an assembly of godly men, but heaven is perfection. However, the pamphlet is classic Samuel Miller—methodical, precise, clear, and informative. If a brief but thorough read about Dort is desired, then this attractive booklet will be found helpful. Miller’s presentation includes the historical and theological context for the convening of Dort, its actions, and a good bit at the end as an apologetic for Calvinism. If you want to be more informed about the Synod of Dort and its work, one or both of these publications will be found beneficial. There are Bible commentaries published in the second half of the twentieth century that will continue to be read for years to come such as John Murray on Romans, Philip E. Hughes on Hebrews, and anything by F. F. Bruce. Another commentator of the era is Derek Kidner (1913–2008) who was the warden (keeper or overseer, not jailor) of Tyndale House, Cambridge, 1964-1978. His books originally published in the Tyndale Old Testament Commentary series have been reissued in the Kidner Classic Commentary series by IVP Academic. The books included in the series are Genesis, Psalms, Proverbs, and Jeremiah. The commentary used for this book notice is the two-volume set on Psalms. The first volume covers Psalms 1-72 and the second one addresses chapters 73-150. The pages of the volumes are numbered sequentially with a total of just over five-hundred. The introduction provides material about the nature of Hebrew poetry, the structure of the book of Psalms, and an extended section explaining terminology in the passages such as selah, Asaph, and miktam among others. There are some biblical language terms transliterated from the original, but the commentary is very English reader friendly. The covers are attractive with smooth finishes that are pleasing to the touch. A particularly nice aspect is the text itself is more user friendly due to both a larger font and page size than in the earlier editions. Kidner’s comments are brief but they often provide nuggets of insight that open up the meaning of a complex passage, and he had a keen sense regarding the redemptive-historical aspects of Psalms. I think Kidner’s work provides a modern complement to the commentaries provided historically by Augustine in the fourth century, Thomas Aquinas in the Middle Ages, and then the great works by both Martin Luther and John Calvin. No commentary answers every reader’s questions, but Kidner raises and answers other questions in the place of those that go unanswered. 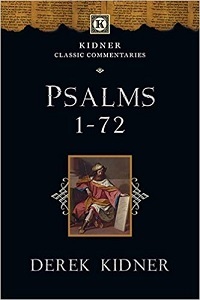 If you do not have a commentary on Psalms, Derek Kidner’s work will prove valuable. I recently finished reading Irish Presbyterians and the Shaping of Western Pennsylvania, 1770-1830, by Peter E. Gilmore, University of Pittsburgh Press, 2018. His thesis is that Irish Presbyterians viewed their Pennsylvania homeland as Ulster relocated to where they could freely work, maintain their Irishness, and worship according to their particular distinctives. Note that “Irish” includes the Scots Irish. The region is an important one because denominations descended from the Irish Presbyterians of the area include, with varying degrees of influence from the past, the RPCNA, PCUSA, EPC, ARPC, OPC, and PCA. A search of the Internet will show there are colleges and seminaries in the region that trace their beginnings to the era covered by Professor Gilmore’s book. Four reoccurring subjects of study for church historians are revival, temperance, the Sabbath, and psalmody, each of which the author addresses as aspects of Irish Presbyterian identity. He believes that the market revolution, that is, the change from a primarily farming lifestyle through the increasing influence of industry and commerce, led to disruption of the communities and their Presbyterian distinctives. 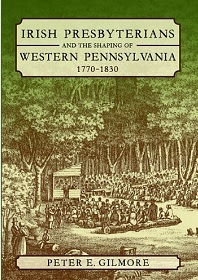 I enjoyed reading the book and recommend it for its analysis of the progress of Presbyterians west from their Philadelphia beginnings as they settled around Pittsburgh, but it is primarily a sociological study and readers with historical-theological interests may disagree with the author’s perspective on the doctrinal distinctives of the Irish Presbyterian denominations. However, I think the book provides an informative read and is beneficial for understanding the contribution of the Irish to the growth of American Presbyterianism.